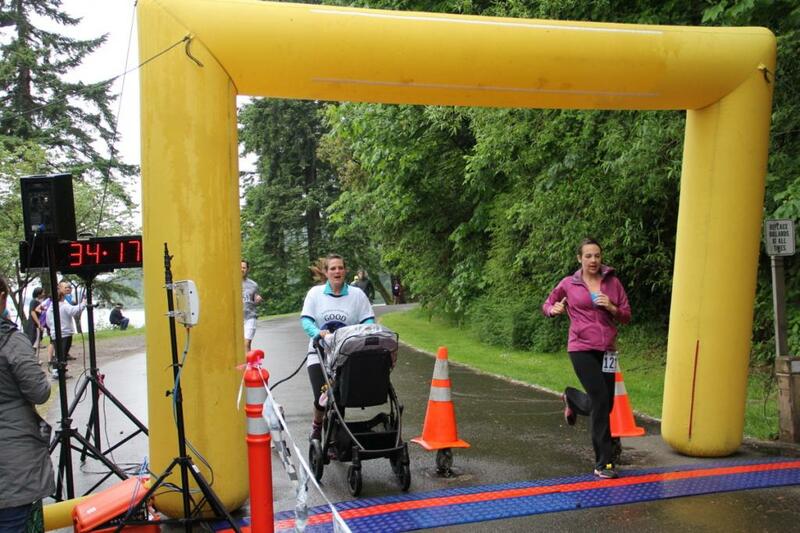 This past weekend I ran my first 5K! I started running back in March and have been running around 3 miles a few times a week since I canceled my gym membership. 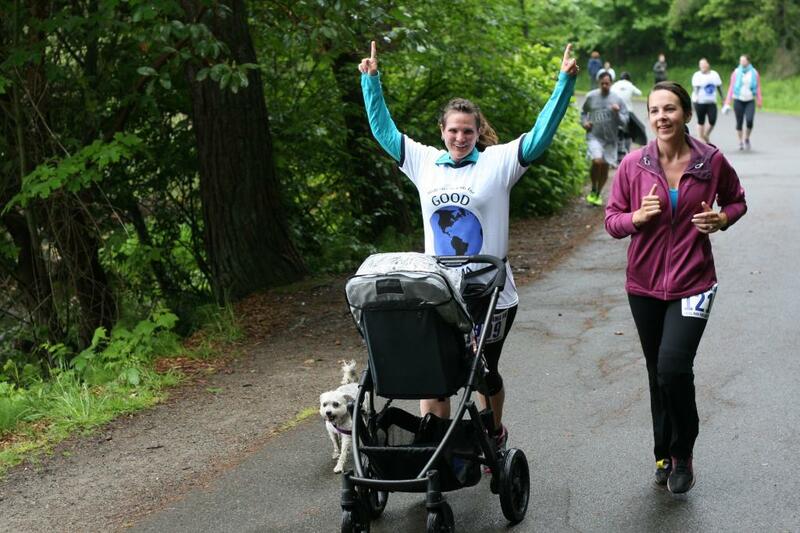 Around the time I started running again, my friend Ali was scouting running partners for the Good Karma 5K during Memorial Day weekend. I figured I could be in good shape by the end of May so I agreed to run with her. Picking up running has been a lot easier than I expected it to be. My first run back in March was incredible – I felt great and ran a mile and a half without stopping and without feeling like I was going to die. Since then, the most I’ve run has been 4 miles. 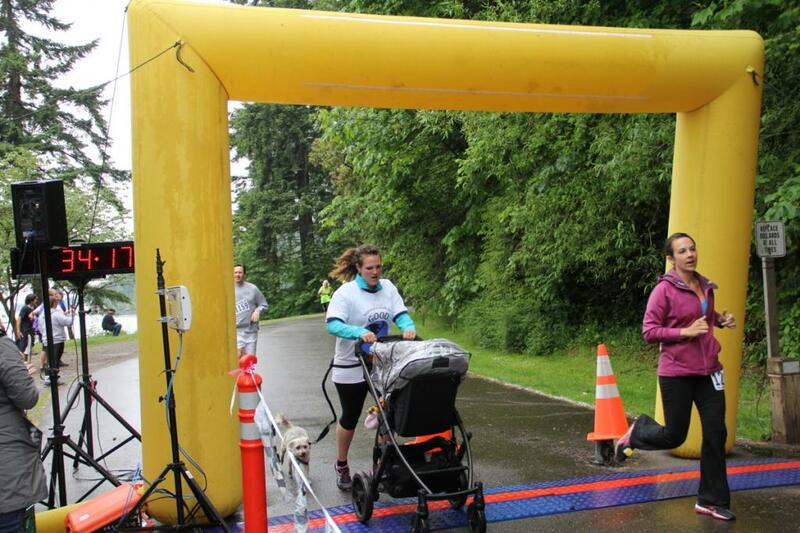 The 5K on Sunday took place at Seward Park, one of the largest parks in the city of Seattle, and the proceeds went to the runner’s choice of one of ten charities. I woke up early Sunday morning to find that it was absolutely pouring outside. Unfortunately, the rain never really subsided until Sunday afternoon, long after we had completed our run. I am normally a fair weather runner so I don’t have the best set up for running in the rain, needless to say I brought out my trusty Patagonia “hoodie” jacket that I bought for dog walking. It served its purpose and kept me a bit too toasty in the process. The run itself was mostly flat except for one gigantic hill about 3/4 of a mile into the run. I think the flat start set me up for success. 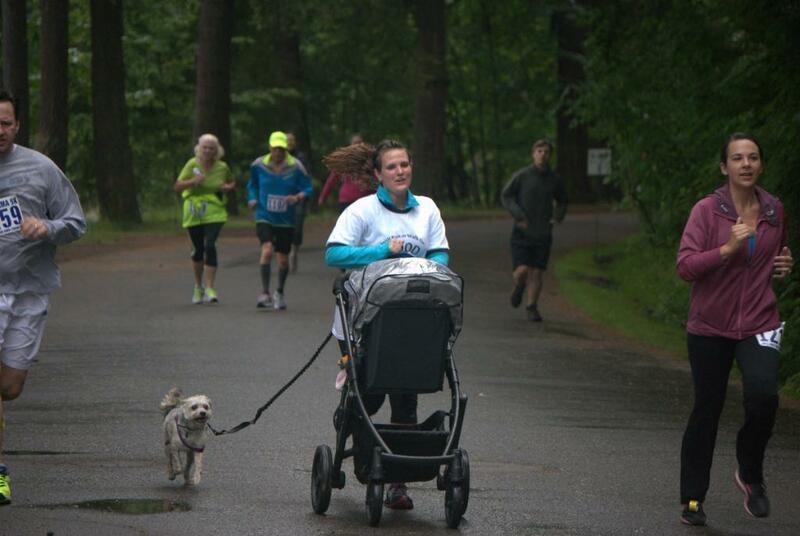 Ali brought along her little 5 month old daughter, Vivian, and her 13 year-old dog, Glory. Pushing Viv in the stroller had to have been much, much more difficult than just running alone, but we ran the whole thing in 33:48! I’ve got a pretty slow pace going and would love to get down to a 10 minute mile. Maybe this time I can challenge Ali to a 10K? What do you say Ali? This entry was posted in Friends, Fun, Life and tagged friends, running on May 28, 2013 by Alison Allen.